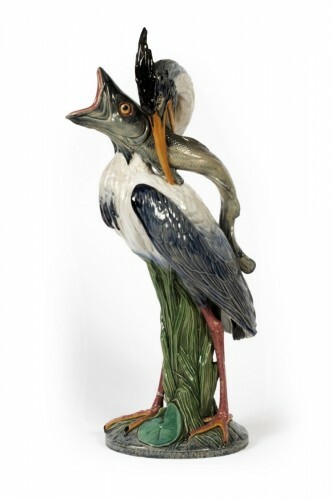 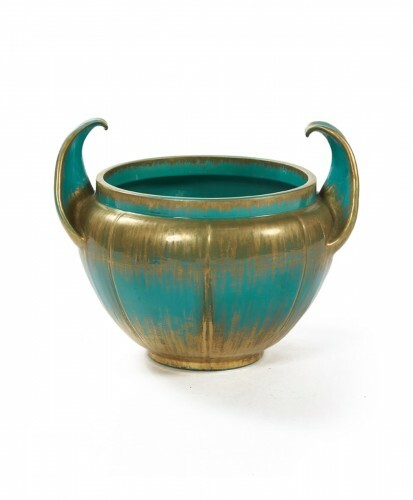 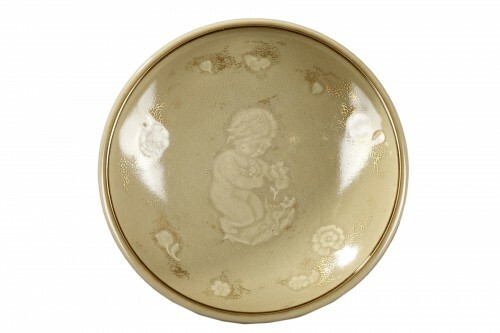 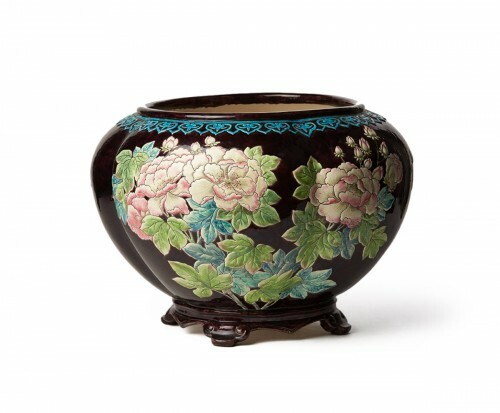 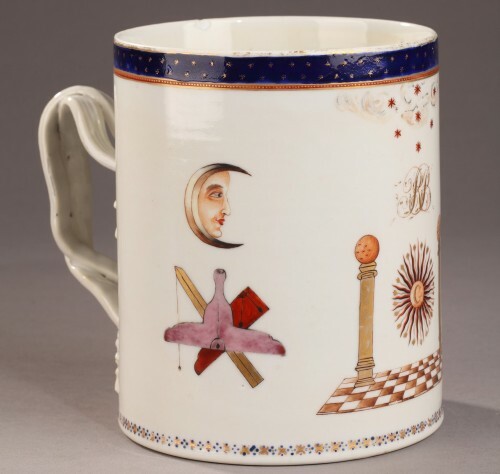 AnticStore > Catalogue > Porcelain & Faience > 18th century > 18th century Masonic china mug decorated for an English Loge. 18th century Masonic china mug decorated for an English Loge. 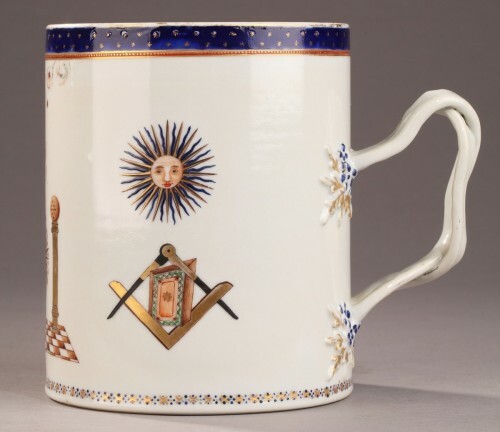 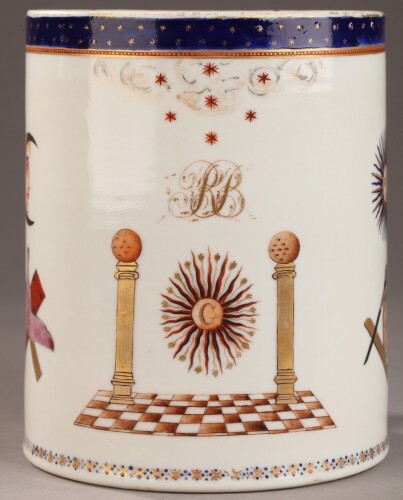 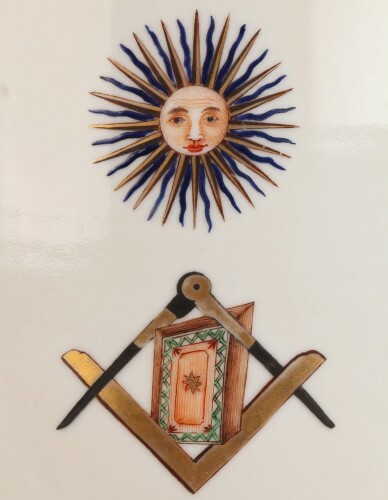 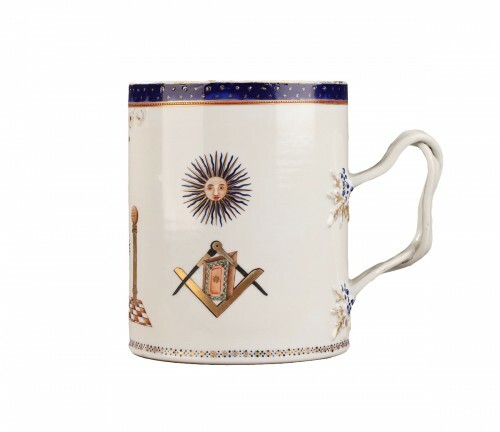 China of command for England, important porcelain mug of cylindrical form, the two handles intermingled, rare subject Masonic decorated in polychromy and gold of a picture of Lodge, with the initials of the sponsor above the two framed columns of the stars solar and lunar and different symbols. The upper edge with a dark blue background with golden star sowing, simulating the starry vault. 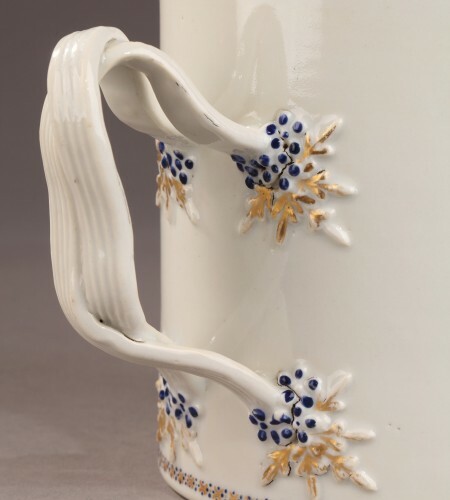 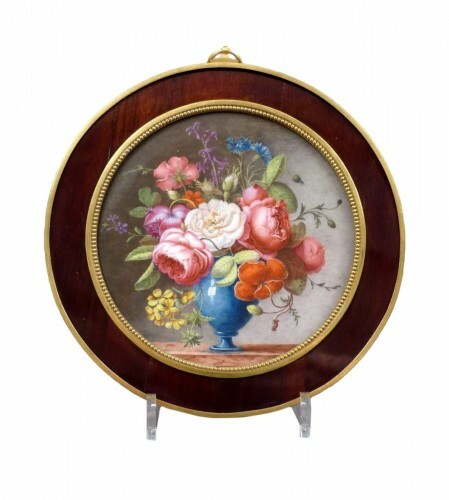 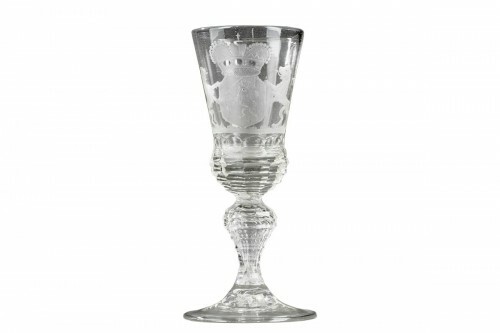 Second half of the 18th century around 1780. Good condition, a tiny égrenure bordering inside the mug.